Yes, loving it! 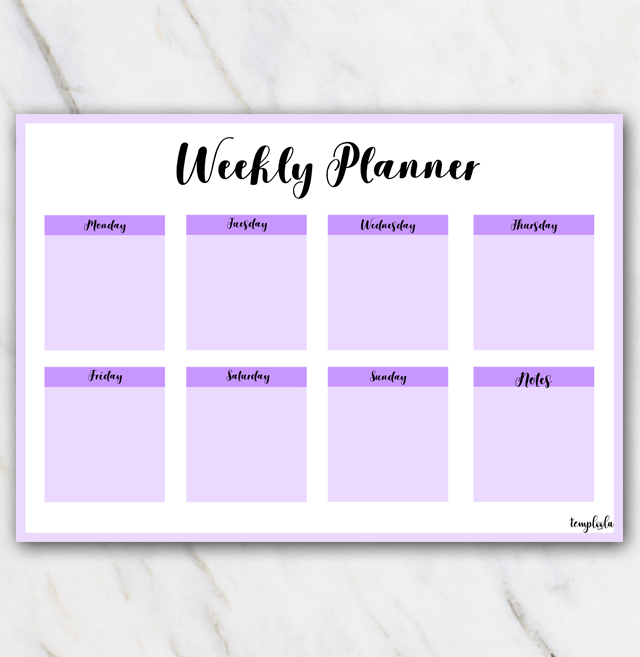 This printable, pruple, weekly planner. Looks cool right? Download the weekly planner and print at home. You can easily stick it to the fridge. It's a great way to get organized! Next to this cute and lovely purple weekly planner, there are also weekly planners in other colors and other formats.